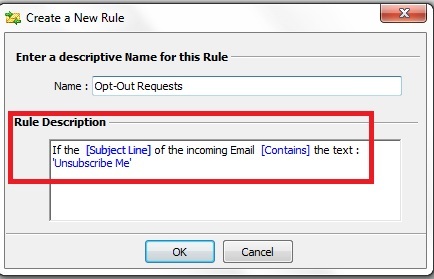 How to manage your Opt-Out Requests using our GroupMail Subscriber Add-On. 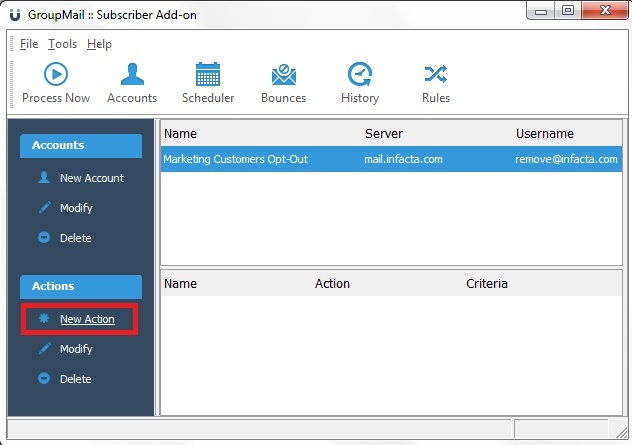 After Sending out a Bulk Email which includes an Opt-Out Link you may receive back some Opt-Out Request Messages that our Subscriber Add-On can automatically manage for you. 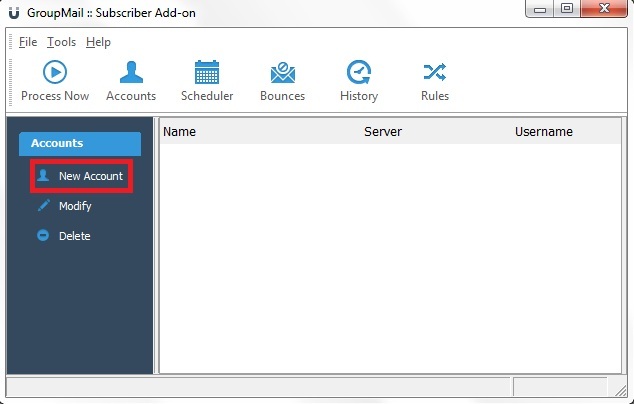 To Configure your Subscriber Add-On, the first thing you need to do is create a Pop3 Account by clicking on Pop3 Email Account. Click on New to Create a New POP3 Account. You can follow these Steps to use the Auto Account Setup. For the Manual Account Setup – select it and press Next. Enter a description name for the POP Account. 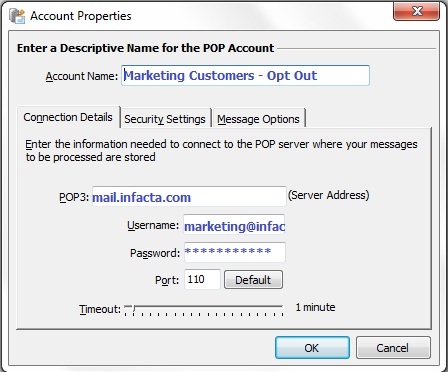 Enter the POP3 Mail Server Name [Incoming mail server, just like in your Outlook]. 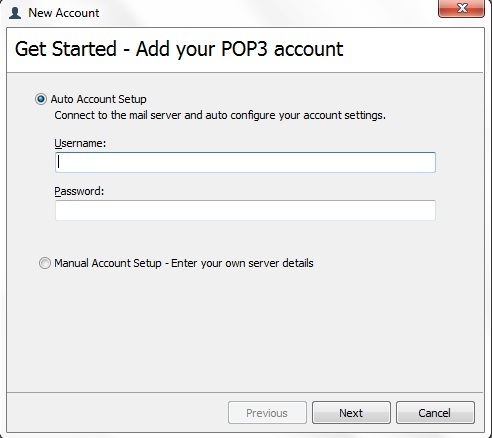 Enter your� Username andPassword required to access your POP3 Mail Server. 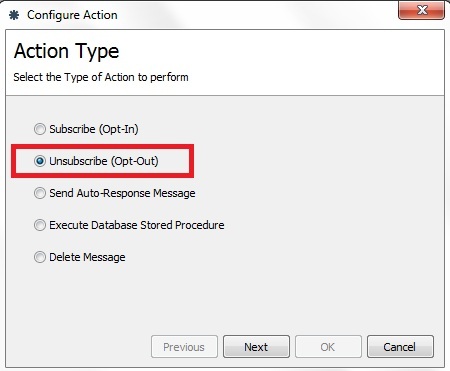 Next we need to configure a Message Action and Message Rule so that Subscriber knows what to do with these Opt-Out Messages ! From the list of Actions select “Unsubscribe (Opt-Out), press Next. Enter a description name for your Rule. Next enter the Text that your Opt-Out Email Requests will have in their Subject Line. Select the Group(s) to unsubscribe from. You can select All Groups if you have more than one Group with opt-out requirements. In this case, we`ll use the email address of the sender as provided in the From field of the received message. 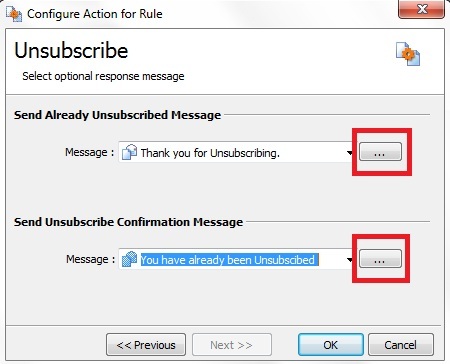 You can have the Subscriber Add-On send an Auto Response message each time a recipient opts-out. Add these if you wish and click OK.
That’s all there is to it !! Well done… Your Opt-out Rule is created. 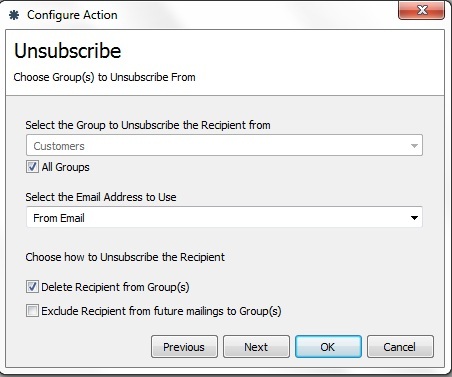 If you are a GroupMail Business Edition User, you can Schedule Subscriber to process so that the work is automated. If you have any questions, or need any help along the way, you can contact the GroupMail Support Team.